Luxury 1835 Cottage in Niagara on the Lake. Steps from centre and Shaw Theatre. 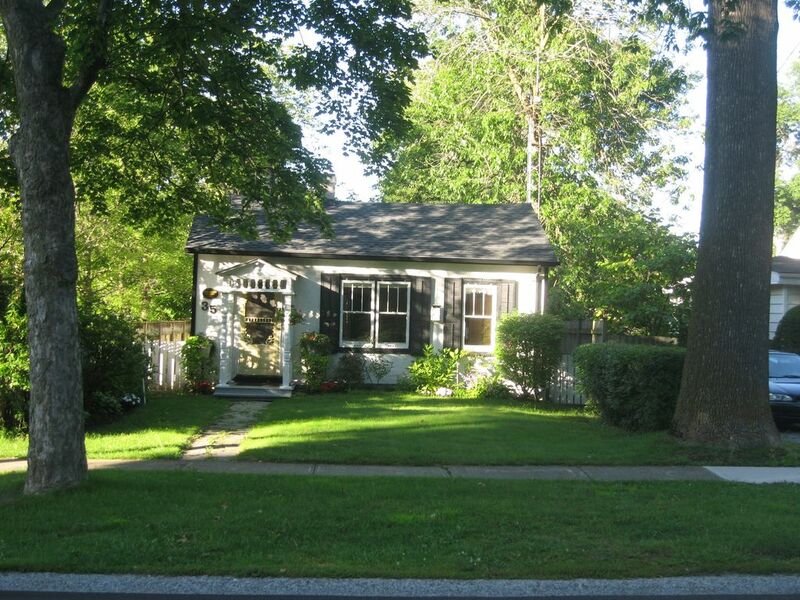 Beautiful 3 bedroom cottage only a few paces from centre of Niagara-on-the-Lake! This historic protected cottage dates to at least 1835. It is fully updated with gas central heating, central air-conditioning and free wireless Internet. The pine floors in the living room are thought to be original. It is in one of the best streets in Niagara-on-the-Lake and the Shaw Theater is just an easy stroll of 300m or so away. You will be literally just a few steps from the historic center and with free parking ! We have three double bedrooms with high quality beds and mattresses; Lounge with central heating and also traditional stove; separate Dining-room; Newly refitted modern kitchen and Luxury Bathroom with heated natural-stone floor; spacious rear patio equipped for barbecue. Rates are from only $50 per person per night. Bathroom completely modernized with new separate luxury shower enclosure, heated slate floor and antique lion's claw cast iron bath.